Maintaining eye health and preventing eye disease is the mission of Zietchick Research Institute, LLC, (ZRI). developing new therapeutics to prevent serious eye diseases that affect preterm infants (retinopathy of prematurity) and diabetic adults (diabetic retinopathy). In 2013, the International Diabetes Federation estimated that 381 million people around the world are living with diabetes mellitus and their eye health is threatened. More recently, in 2016, the World Health Organization estimated that 422 million adults have diabetes. Clearly, the global prevalence of diabetes is increasing. Diabetic retinopathy is the most common complication of DM. In developed countries, diabetes is the leading cause of blindness in adults aged 20–64 years. A recent systematic review of 35 population-based studies showed that the prevalence of diabetic retinopathy amongst diabetics is 34.6%; by extrapolating these results to the global number of diabetics, we can estimate that the number of people with diabetic retinopathy will grow from 126.6 million in 2011 to 191.0 million by 2030. In regards to maternal eye care, we are working on ways to prevent diabetic eye disease from progressing in pregnant women with diabetes. More than 50% of diabetic women who have diabetic eye disease before pregnancy will have worsening of their retinopathy during pregnancy. We are in the midst of developing an eyedrop specifically for use during pregnancy to prevent this from happening. Zietchick Research Institute is devoted to developing a brand new therapeutic that can prevent diabetic retinopathy and thus, save the eye health of all diabetic individuals, including pregnant moms. Zietchick will keep you up-to-date on important developments in vision research and eye health care in an email newsletter that will be delivered directly to your inbox once or twice per month. Don’t miss out. Zietchick is focused on optimizing maternal/infant eye health by developing new treatments for eye disorders that affect both infants and pregnant diabetic women (and non-pregnant diabetics as well). Dr. Tammy Z Movsas’ (Zietchick’s founder) background in pediatric ophthalmology and maternal/child epidemiology helped spark the novel idea that pregnancy-related hormones can affect the development of the infant eye as well as contribute to eye problems encountered during pregnancy. Filled with entrepreneurial spirit, Dr. Movsas launched Zietchick Research Institute (ZRI) in 2012 and within a few short years, she has developed it into a thriving drug discovery institute for vision research. 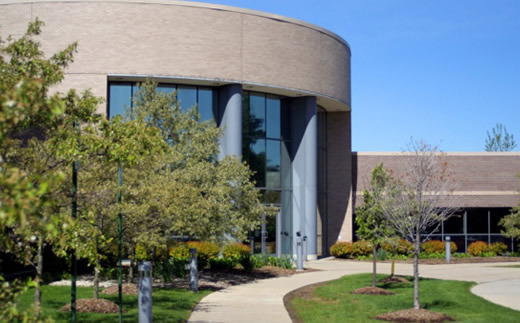 Zietchick Research Institute (ZRI) is proud to be located within the Michigan Life Science and Innovation Center (MLSIC), a 57,000 square-foot life science facility, in Plymouth, MI. ZRI has its own wet lab space, a dedicated tissue culture room and all the equipment necessary to perform state-of-the-art analytical chemistry, formulation and cell culture work. We are so pleased that within just a few years since start-up, Zietchick has been awarded federal and state grants to allow it to carry out its innovative eye research aimed to develop new ways to prevent blindness in infants and diabetic mothers-to-be. Please explore our website to learn all about the diseases that we aim to prevent. First and foremost, we are working on developing a medicine to prevent retinopathy of prematurity, also known as ROP so as to optimize eye health for very low birth weight infants. Very low birth weight infants (birth weights< 1500g or 3.3 lbs), most of whom were born prematurely, represent 1.5% of U.S. births. Thanks to extraordinary advances in medical science, the majority of these infants now survive. 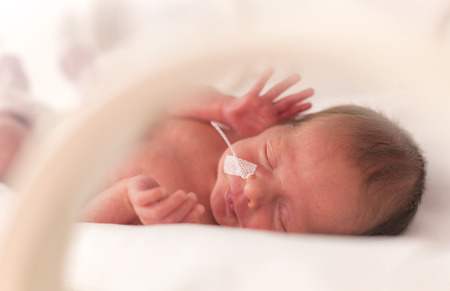 We bet that all of us know someone who was born prematurely or of low birth weight. Unfortunately, within the very low birthweight infant population, retinopathy of prematurity (ROP) is a common occurrence. In fact, in infants with birth weights <1500g (3.3 lbs), some degree of ROP occurs greater than 25% of the time and in infants with birth weights <1000g 2.2 lbs), some degree of ROP occurs greater than 50%. Despite treatment for advanced disease, ROP is one of the leading causes of pediatric blindness in the U.S. and abroad. Zietchick Research Institute wants to change that! Please consider supporting us in our mission to prevent blindness and optimize eye health. Though we are not a non-profit organization, our research costs are very high and our government grants do not cover all of our expenses. We need your help! Even a very small donation will go a long way in helping us to develop big treatments for little eyes! Please donate today.